From Software promised an announcement on August 24, 2016 and sure enough they delivered. The first of two downloadable contents for presumably the last saga in the Dark Souls saga will be available on October 25, 2016. Here is the trailer for the said DLC that looks to expand on the story of the fire keepers and or the story of deities that have left Anor Londo in the first game. As a Dark Souls enthusiast, this is a bit of a surprise since there were rumors of them focusing on the Deep or Angelic aspects show in the vanilla game. 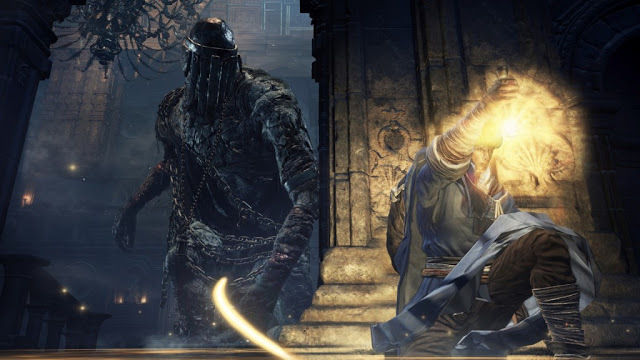 I do like that we are getting new enemy types and we could finally see the area of Carthus (as shown by a brief scene where you battle skeletons resembling those from the Catacombs area). What interests me the most are the bosses shown near the end of the trailer. The first one having a similar features to the Corvian story tellers albeit being bigger and more intimidating while the second one, looks to be using a Lord Vessel as its weapon. Could this big baddie be a former fire keeper? Other notable noteworthy points are the addition of what looks to be Frost magic, a new area that is drenched in snow just like Irythyll and a giant wearing an armor set reminiscent of the Mirrah Chain set. Finally, a PvP exclusive map is said to be part of the additional areas. I’m excited with what is in the DLC trailer and I’m looking forward to finally buying the Dark Souls III season pass.